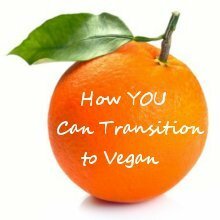 Elated’s website serves as a resource to help you follow a joyful vegan lifestyle. I am not an expert on veganism, nutrition, animal rights or any other topic discussed on this website. I share information and comment on issues that may or may not be relevant to you. Please take responsibility for how you apply this information to your own life. Elated offers a service to people wishing to explore applying my philosophies in their own lives. I am not responsible for and expressly disclaim all liability for damages of any kind arising out of use, reference to, or reliance on any information or recommendations contained within this site. Please note that Elated is not registered as a Non-Profit Organisation. As such, all donations and monies collected by this site go directly to Karen Johnson and are used for the purposes of furthering Elated’s vegan education mission. I do not purport to be a dietary or nutritional authority. I merely collate and comment on information available in the public domain as well as sharing my own personal experience. Please consult with your General Practitioner or Nutritionist before making any changes to your diet. While many organisations and people are quoted, referred to or linked, Elated is not affiliated with any other organisation or person. These references are always used out of context and do not imply an endorsement of their principles, behaviour or campaigns. 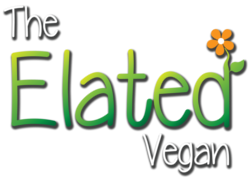 Elated is registered as an affiliate marketing publisher and the Shop is a resource provided to make it easier for you to find more vegan products in online shops across the world. Elated does not hold stock, neither am I responsible for shipping, warranties, refunds or returns. While you are welcome to give me feedback regarding your shopping experience, you will need to address these concerns directly with the Merchant who is advertising the product. Their contact details are provided on the ‘Merchants‘ Page. All the images on this site are, to the best of my knowledge, published in accordance with international copyright laws. All permissions are catalogued on file and are available on request. Where possible I credit the original creator of the image as well as the source. If you are aware of a copyright infringement please let me know and I will remove the image immediately. If you would like me to credit you for a photograph which belongs to you, then please share this information with me. You are welcome to contact me with any questions or comments you may have. Your feedback is appreciated.